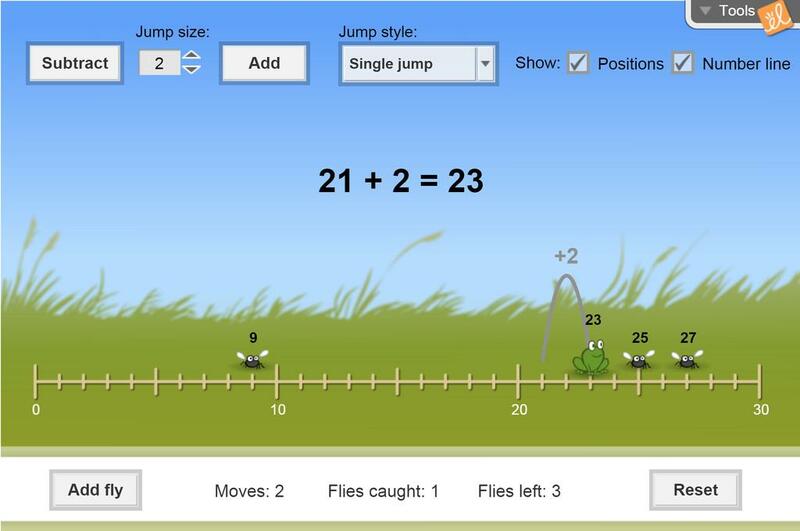 Live a frog's life as you hop along a number line in search of flies. Learn how addition and subtraction can be represented as movement along a number line. Fred the frog may even help you get better at adding and subtracting two-digit numbers in your head by decomposing them into tens and ones. Add numbers using a number line. Subtract numbers using a number line. Decompose a two-digit number into tens and ones. Mentally add/subtract by first adding/subtracting the tens and then the ones. This worksheet will help guide students through creating a claim, providing supporting evidence and draft... (more)ing a response to on open ended Frog hop question. Simplified worksheet for children in 3rd grade. Contains pictures to go with the problems to make it more... (more) visual for students. The kids love it and makes them have to think. It is great for interventions. This is great even for the upper level grades, SPED Students and ELL who need many reviews with visuals. I love using this Gizmo to encourage students to think algebriacally!